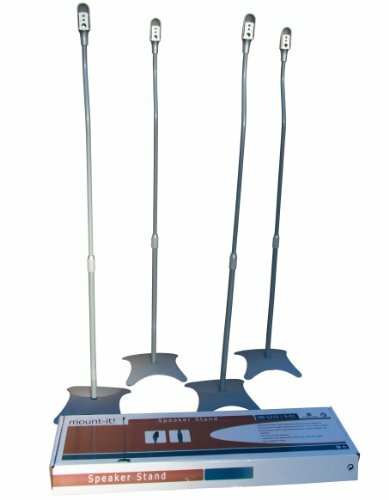 Home Cinema Speaker Stands, are designed for use with the majority of systems. Finished in black with an attractive heavy weight base, that is also designed for stability. Comes complete with a multi function adaptor head to fit most speaker systems. A cable management system through the stand can be used to hide those cables. The height adjustable feature on the stands make these ideal for any installation. 1. Single Thread Entry (on the rear of the speaker there will be a single threaded screwhole). These mounts are suitable for these fittings using screws provided. 2. Dual Thread Entry (same as above but with two threaded screwholes). These mounts are suitable for these fittings using screws provided. Entry should be made using one of the available 2 threads.